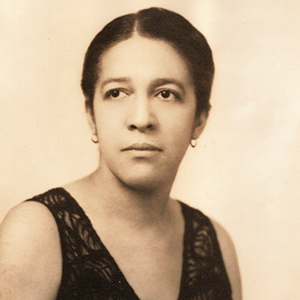 A Columbia civil rights activist, Simkins served as the South Carolina State Secretary for the NAACP, 1941 to 1957. She also had leadership roles in the renovation of Good Samaritan-Waverly Hospital and the Richland County Citizens Committee. Simkins was a founder, in 1921, of the Victory Savings Bank of Columbia. Now called South Carolina Community Bank, it survives as one of the oldest African-American owned banks in the country. As a voice of African-American leadership in the South, Simkins was routinely asked to use her influence in political campaigns. Although she helped many leaders win election, Simkins was unable to attain elected office herself. She ran unsuccessfully for Columbia City Council in 1966 and 1984 and the S.C. House of Representatives in 1966.